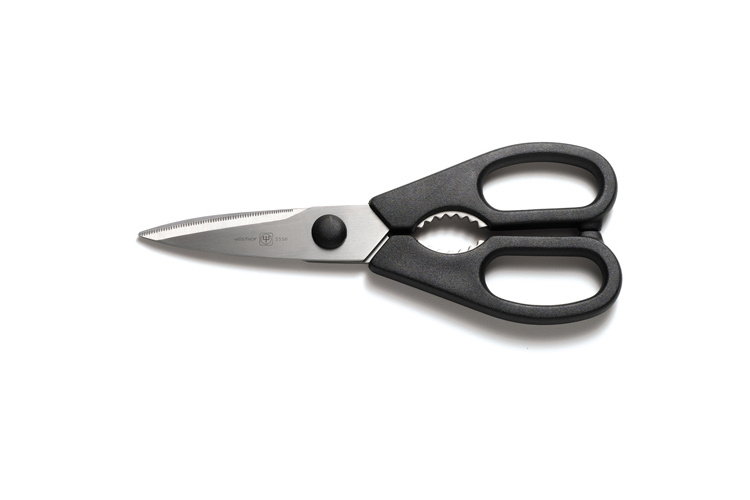 Wusthof Come Apart Kitchen Shears are great for all types of kitchen chores like cutting food, paper and flowers. The blades are made of high-carbon stainless steel and the shears are designed to come apart for easy cleaning and sharpening. These shears also have steel-tooth insets in its handles to twist open bottle and jar caps. Suitable for both right and left-handed use. Available in Black, Red, Greeen, Blue and Yellow.